Two things are a pretty sure bet on the girls side. 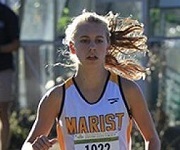 Morgan Ilse of Marist will win the individual title and will lead her Marist teammates to the girls championship and probably the top all-class ranking after the state meet. Marist is a huge favorite. Will they put 5 in the top 10? 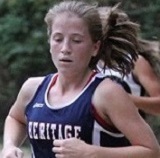 Heritage Catoosa won the Atlanta Classic and is very strong and In some other classes would be running for a championship on Saturday. They have been the clear #2 all year and should be safe in that spot Saturday. St. Pius X should end up 3rd. Things are not as clear after the #3 spot.. The battle for 4th appears to be between 3 teams from region 8: 4th ranked White County beat 5th ranked North Oconee for the region title by one point with 6th ranked Buford right behind. Based on head to head matchups it doesn’t appear that the 3 region 8 teams can challenge the powerhouse teams ahead of them but the battle for 4th will be intense. Whitewater and Pickens may have a say in that race as well and a vastly improved Johnson (Gainesville) squad should be in contention to round out the top 10. 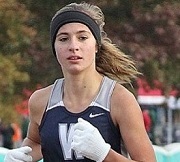 Morgan Ilse has dominated 4A ever since she has ran with the varsity squad is the favorite with former 3A champ Jenna Gearing of White County the top contender to pull an upset. 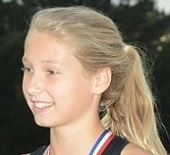 Others who should challenge for a podium spot top 10 honors are: Marist teammates Catie Faust, Kendall Nelson and Josie Wirtz, Emily Poole of Heritage Catoosa, Betty Jackson of Eagle's Landing, Lindsay Grater of Chestatee who ran great at Region 8, Makayla Ellis of North Hall, Rebecca Entrekin of St. Pius and Lauryn Davidson of Buford.